If you suspect that neglect or abuse has taken place in your loved one’s nursing home, know that you are not alone. Unfortunately both neglect and abuse occur quite frequently. That’s why our website was designed to give you all the information you may need in order to pursue legal action. After you’ve had the chance to visit our site, we highly recommend that you give us a call so that we can discuss your case. We’re here to help you. Neglect and abuse are different, yet they should never be accepted in any nursing home. Neglect is usually an unintentional act that fails to provide a reasonable standard of care. Forgetting to clean a medical device before it’s used on a resident is one example. Abuse on the other hand is an intentional act aimed to harm or injure a resident. This can come from a fellow resident or a nursing home staff member. What is a typical nursing home lawsuit like? A nursing home lawsuit begins when an act of negligence or abuse has occurred. When this happens it’s within the patients right to file a claim, or have their spouse or relative file a claim if they’re incapable of doing it themselves. A claim usually begins with a demand package. The demand package is prepared by the resident’s attorney, and is usually a collection of all the evidence and facts that back up the claim. The demand package will also include a settlement sum. Once this is done, the demand package will be sent to the nursing home and their attorneys. They would then conduct their own investigation, and usually send a counter offer that is much less than what the resident wanted to collect. When this happens both parties will usually try to reach a settlement in order to avoid trial, because trial can prove to be costly for both parties involved. If a settlement is agreed upon by both parties, then the claim will not move forward. If not, then the claim will further proceed to trial. Understand that settlements still can happen during trial, and most of the time usually happen after the lawsuit has been filed. Although each case is different, a typical lawsuit takes an average of 18 months to 2 years. Do I have to file a lawsuit – Are there other options? You don’t necessarily have to file a lawsuit, if you and your attorney are able to reach a settlement with the nursing home. If a settlement can’t be reached, then you’ll need to file your claim in order to preserve it. In the state of Georgia you have 2 years to file the claim before the statute of limitations goes into effect. Sometimes abuse and neglect never even gets reported out of fear of repercussions. Some nursing homes prevent private visits. Some do this so that they can monitor what their residents are saying. This ‘fear tactic’ enables nursing home staffs to continue their negligence and abuse of residents, which should never be accepted. If you’re unsure about filing a lawsuit, your best option is to seek out an attorney and see what options are available. Fear to pursue a claim should not stop you or your loved one from pursing it. If abuse or neglect have occurred, understand that your loved one does not, and should not deal with it. We are Schenk Smith, your Villa Rica nursing home lawyers. At Schenk Smith, we are 100% committed towards pursuing legal action for resident who have suffered from any type of nursing home neglect and abuse. We do not practice any other form of law. Our passions stems from our founding attorney Will Smith, who besides being a Marine, was a CNA in nursing home within the state of Georgia for 10 years prior to becoming an attorney. Our singular focus makes us more knowledgeable about changes in law that may pertain to nursing home cases. This knowledge along with our experience helps us pursue claims from residents who have suffered. We are prepared to see your case all the way through trial, as we’ve had millions in verdicts and settlements in the past two years. When you visit our website, you’ll be able to access countless videos, a podcast, and a blog that are all designed to provide answers for your questions. 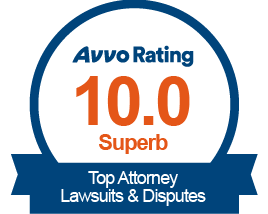 After you’ve had a chance to check it out, please give us a call so that we can schedule a consultation for your case. We’ll come to you regardless of where you’re at. Whether you’re by Fullerville, The Stockmar Gold Mine, or Wicks Tavern, we’ve got you. Nursing Home Abuse & Neglect in Villa Rica, Georgia – What you need to know. Villa Rica, Georgia is located within Carroll and Douglas County. It has a population of 14,755 residents. Of those residents, 9.30% are aged 65 and older. As with other nursing homes in different parts of Georgia, neglect and abuse occur quite frequently. How do I get authority to act on behalf of my loved one? If a resident is incapable of acting on their own behalf, then generally, but not always, they’ll name another person to act on their behalf through a legal document. There a different types of documents that will give you various powers to represent your loved one. Whether you’ll be able to bring a lawsuit on behalf of your loved one, will ultimately depend on the documents and the powers expressly granted in the documents. The Power of Attorney will also allow you to conduct other actions that your loved one can no longer do. There are times though, where the probate court can officially designate a guardian or a conservatorship over a resident. This guardian will then have the power to act on behalf of the resident. My loved one fell – Is the nursing home liable? No nursing home can prevent every fall from ever happening, it’s just unreasonable to think they can. Falls are quite common among senior citizens, as statistics show that one third of adults aged 64 and older fall each year. With that said there are many steps that nursing home needs to take in order to try and prevent falls from ever happening. Fall risk assessments should be performed on all residents. With these assessments, risk factors are assigned a value, and if a resident has a high number, then that means the nursing home needs to closely monitor them at all times. If the nursing home fails to conduct fall risk assessments, and a fall occurs, then the nursing home will be held liable. Nursing homes are also required by law to provide safe and hazard free environments. So if your loved one falls on a slipper floor, or trips over some debris, then the nursing home will be held liable. What resources are there to research better nursing homes? There are different resources that you can use when researching potential nursing homes. The first is word of mouth. It’s great to ask around, and find information from either residents or family members of residents who have lived at a nursing home you have your eye on. Another method is to conduct a walkthrough, and use a ‘smell test’ to determine if the facility is a fit for you or your loved one. While conducting a walkthrough, it’s imperative that you ask as many questions as possible. Finally there’s the Georgia Department of Community Health’s division known as the Healthcare Facility Regulation, and the Nursing Home Compare website, which is operated by the United States Centers for Medicare and Medicaid Services (CMS). Both of these tools will have valuable information for any nursing home within the state of Georgia. My loved one was hurt in a Villa Rica nursing home – What do I do next? If your loved one was injured, abused, or has passed away in a Villa Rica, Georgia nursing home, then we highly recommend that you act immediately, in order to protect your loved one’s rights. The Georgia Department of Community Health has a division called The Healthcare Facility Regulation, which investigates cases of nursing home neglect and abuse. This division also certifies and regulates nursing homes within the state of Georgia. Another option to file a claim is through the Georgia Office of the Long-Term Care Ombudsman. The Ombudsman program consists of individuals who are dedicated to resolve cases for residents that have a claim against a nursing home. This individuals of this program are authorized by law to enter nursing homes and ask questions. If you suspect that your loved one has suffered abuse and been assaulted due to an unlawful act at their nursing home, then you should file a police report. Depending on the severity of the crime, criminal charges may be brought against the perpetrator by the District Attorney’s Office: Coweta Judicial District. For abuse occurring in a Villa Rica, Georgia nursing home, report the crime to the Police Department of Villa Rica, Georgia or to the Carroll County Sheriff. If neglect or abuse are happening to your loved one, then it’s in your best interest to search for another facility. When you begin to look at new potential facilities, conduct walkthroughs and ask as many questions as you can, so that you can get a feel for the facility and their staff. Another tool that you should use to aid your efforts is the Nursing Home Compare website. This site compiles data on every nursing home around the country, while giving each a rating based off a 5-star system. The scores are determined by a variety of factors including, nurse-to-resident ratio, quality, and inspection scores. For your convenience, a list of all nursing homes located in Villa Rica, Georgia is located below, along with their contact information and inspection scores. If neglect or abuse has occurred, and your loved one has sustained an injury from it, it’s imperative that you access their medical records as soon as possible. Especially if you’re looking to file a claim. The reason this needs to be done immediately, is because nursing homes will usually stop at nothing to place all the blame on the resident. Say for instance your loved one slips and falls over a puddle of water in the facility and breaks fractures their hand. Rather than accepting responsibility for not having a safe environment, the nursing home will try to place the blame on the resident. They may claim that the resident created the hazardous environment, or even worse, that their hand was already fractured before the fall. To help your loved proceed with their claim, you’ll need to access their medical records. The records with show who the primary physician was, and information on the hospital visit. The nursing home will also have medical records which are very important too. These records will usually have signs that may show potential negligence or abuse on behalf of the nursing home. In order to view or obtain these records you’ll need proper written authorization. Due to State and Federal privacy laws, you’ll need either a power of attorney, a healthcare directive, or guardianship paperwork. If your loved one was injured at a Villa Rica nursing home, then their medical records will most likely be at one of the hospitals listed below. Once you’ve obtained the proper written authorization, your next step will need to be to make a request to the Release of Information Department of the hospital. If your loved one has passed away, their right to sue is still valid. A deceased person’s right to pursue their claim is turned over to the Estate. For example, the plaintiff will go from being “John Doe” to “The Estate of John Doe”. But before the lawsuit can be filed, the Estate must first be established. This means that the surviving spouse or relative will need to petition the Probate Court of the County in which the deceased has passed. If you’re currently dealing with a situation like this, it’s imperative that you establish the Estate as soon as possible. In doing so, will need to appoint a representative who is often referred to as an Executor or Administrator. This representative will then act on behalf of the Estate, and will make all the decisions with regards to the lawsuit. Click here for the Probate Court of Carroll County. There are no two nursing homes alike within the state of Georgia. Each have their own differences. Below is a list of the nursing homes in Villa Rica, Georgia, along with pertinent information for each. This information is taken from CMS Nursing Home Compare Website. Singular Focus: All of our attorneys focus strictly on nursing home neglect and abuse cases. That’s it. Focusing on just nursing home cases allows us to be extremely knowledgeable within this area of law. We are selective with the cases we choose. But if we do choose your case, we will dedicate all of our efforts to make sure that you receive your rightful compensation. Our consultations with an attorney are free, so do not hesitate to give us a call. 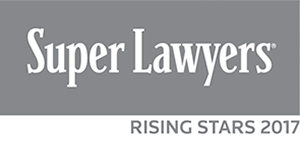 Highly Reviewed: Our attorneys have been selected as Georgia Super Lawyer Rising Stars. If that recognition isn’t enough for you then feel free to check out our client testimonials. Then you’ll see why we are the best Google reviewed law firm in Georgia that focuses on nursing home cases. Passion: Our passion to represent nursing home cases stems from our founding attorney Will Smith. Not only do we focus on nursing home cases, but we also attend and lead legal education seminars that are dedicated towards cases on nursing home law. Our attorneys are also member of senior citizen advocacy groups. If your loved one was injured or died in a Villa Rica, Georgia nursing home, please call us at Schenk Smith (678) 823-7678 for a free consultation. You can also check out hundreds of video FAQs on our website.